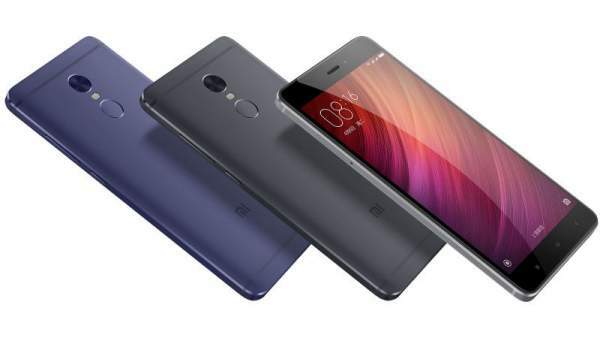 Xiaomi Redmi Note 4 Price, Specifications: Launch event is planned to take place on January 19 in the capital city of India, New Delhi. The Chinese tech giant will release its upcoming Xiaomi Phone in the Indian market. The highlight features of the smartphone are its metal build and deca-core Snapdragon chipset. It may be possible that the company may come with a different variant in the nation. It has been already launched in China in August 2016. In the Chinese market, Redmi Note 4 is available in two different variants based on its internal memory and RAM. The first one is 2gb RAM and 16gb internal memory while the second one is 3GB RAM and 64GB internal storage. The former model is priced CNY 899 (approx. Rs. 9000) while the latter one is priced at CNY 1199 (Rs. 12000 approx.). According to the expectations and reports, the company should launch the same models in India too. Redmi Note 4 of Xiaomi will be available in four color variants – Gold, Grey, and Silver. Check: Huawei Honor 6X Price and Specs. The phone will come with a fingerprint scanner on the backside below the rear camera. It sports dual SIM and operates on Android 6.0 Marshmallow with MIUI 8 on top. The smartphone features a 5.5-inch FHD 2.5D curved glass display with 401PPI. It bears a deca-core MediaTek Helio X20 coupled with Mali-T880 MP4 GPU. However, it is possible that Indian version of this phone may employ Snapdragon chipset instead of MediaTek. On the camera front, it comes with a 13MP primary camera with PDAF, f/2.0 aperture, and dual tone LED flashlights. On the front side, it has a 5MP shooter with 85-degree wide angle lens. The internal memory is expandable with the help of microSD card support up to 128gb. The phone has a hybrid dual-SIM support. Other features of Redmi Note4 are an infrared sensor, GPRS/EDGE, 3G, 4G, VoLTE, Bluetooth, GPS, Micro-USB, and GLONASS, etc. It houses a 41000 mAh battery and the phone weighs only 175 grams. Let’s see what will the Xiaomi Redmi Note 4 price in India and specifications would be. Stay tuned to The Reporter times for latest smartphone news and tech updates.